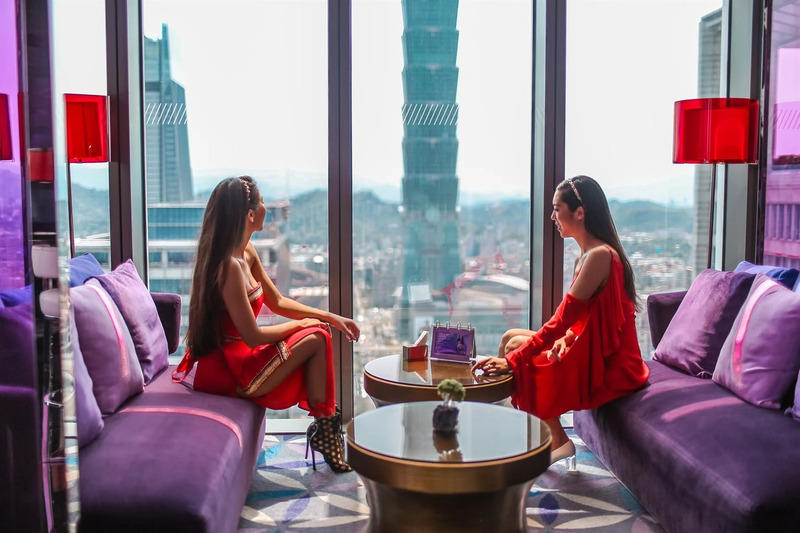 At the sky bar at W Taipei, twinning in our beautiful Prem the label oriental sets. The view from up on the 31st floor is insane, overlooking the city pulse and the Taipei 101 Tower. And the colorful interior really matches our style!